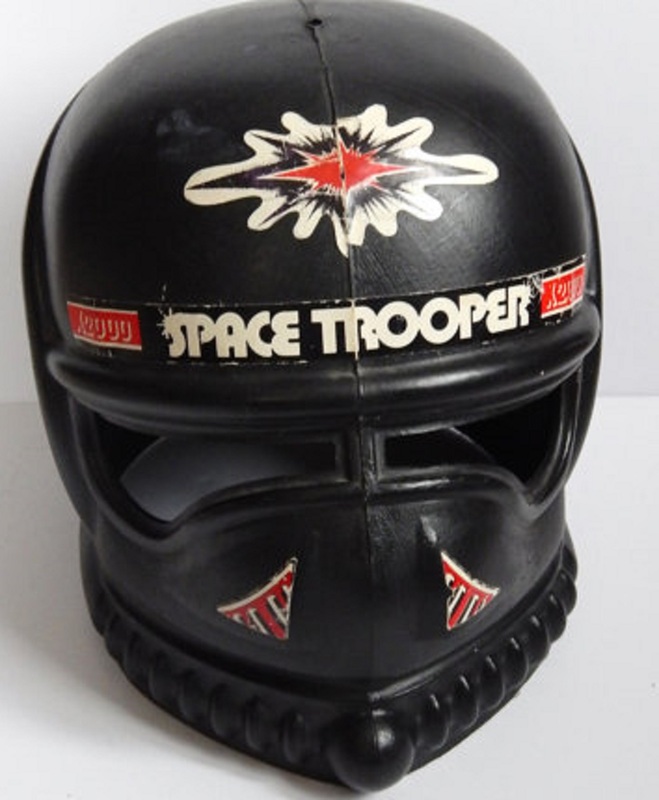 This week at Flashbak, I also looked back at the toy space helmets of the 1960s and 1970s. Here's a snippet and the url (http://flashbak.com/visors-golden-age-toy-space-helmets-37505/). ",,,I have previously remembered the great age of toy space guns and even genre-based utility belts. 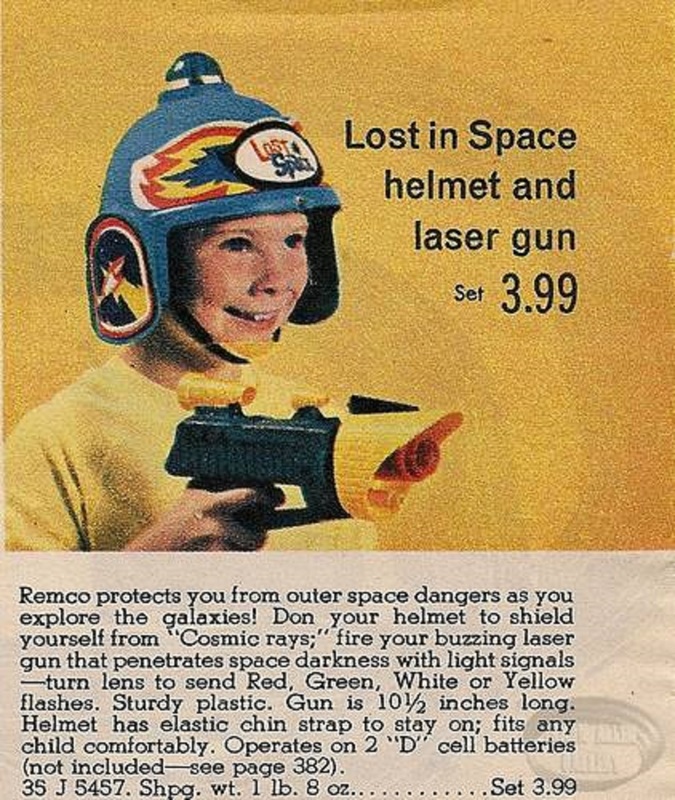 But the intrepid space kid of the 1960s and 1970s needed one more crucial piece of gear for playtime on the final frontier: a space helmet. Many toy manufacturers over the years obliged, and filled that need in memorable (and sometimes strange…) style. One of the earliest toy space helmets of the space age comes from the forgotten (but awesome…) 1959-1960 series Men in Space. The black-and-white series ran for 39 episodes and followed the adventures of American astronaut Colonel Ed McCauley (William Lundigan) as he traveled to the moon and Mars, repaired satellites in orbit, and worked in deep space on the construction of a space station. Ideal Toys produced a show-accurate helmet inscribed with McCauley’s name. The mid-1960s brought a renewal of the space race, and Remco got into the toy helmet act with more than one licensed property. 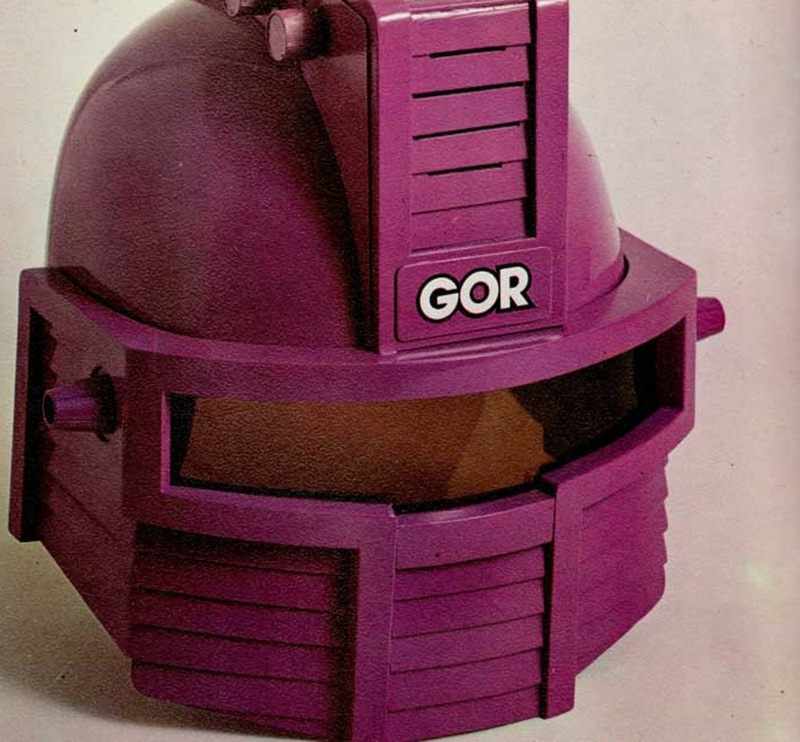 The company produced a Lost in Space (1965 -1968) toy helmet, though the resulting toy didn’t look at all like anything that the Robinsons (or Dr. Smith, for that matter…) ever wore inside or outside of the Jupiter 2. Instead, it was weird and dorky, but if you want to own it today it will cost you a pretty penny..."